Roll your eyes, but I am not over flamingos and probably never will be! As long as there is still space for more cute pink flamingo finds in my flat and wardrobe, I don't have enough of them. While the trend of animals in fashion changes fast from cats to dogs or foxes and owls, my heart will always belong to those elegant, long necked birds! The best way I can imagine to cheer myself up after a hard day is to come home, slip my feet into the fluffy flamingo slippers, turn on pink flamingo lights and dream of that movie. Long live the kitsch, long life the pink way of life! What is your soul animal and what do you think of my flamingo crushes? 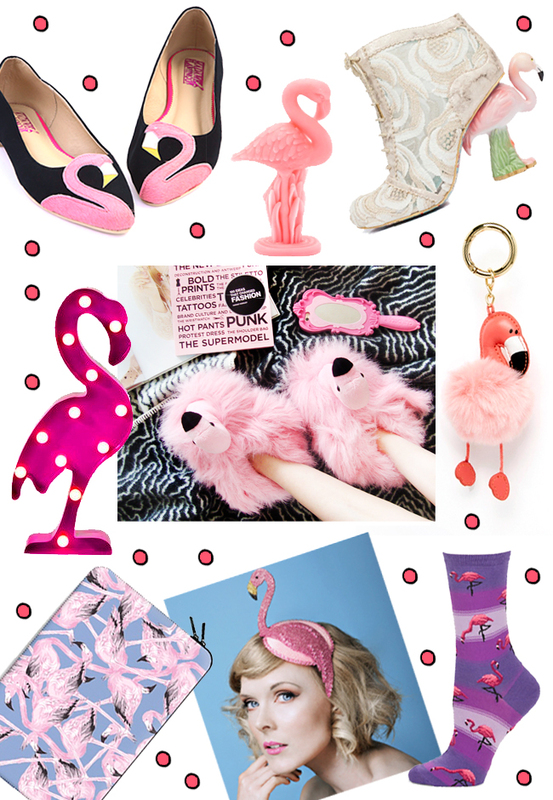 I agree a great way to cheer yourself up would be to slip on a pair of these flamingo slippers! They are so cute! I also think I need these flamingo flats in my life! I LOVE seeing them on your blog!! They are such amazing birds. I don't own any flamingo stuff tho... :S shame on me!! Oh my gosh, how cute is this stuff!? Love everything!